Founded in 2002 and based in Los Angeles, Hip Hop International is the producer of multiple live and televised street dance competitions that are the largest and most respected in the world. Hip Hop International was created to focus attention on and foster an understanding of street dance. In 2002, HHI innovated the 5-9 member crew competition, a format further popularized during seven seasons of “America’s Best Dance Crew” (ABDC), the show HHI created for MTV. To develop the judging standards, Hip Hop International turned to dance originators, respected street dancers, dance professionals and choreographers and collaborated with them to create the rules and regulations that are in use today by close to 50 HHI affiliated nations worldwide. Judging workshops are held in countries worldwide to standardize judging at all HHI competitions conducted by official affiliates. In the United States, HHI properties include ABDC, Urban Moves Dance Workshops, USA Hip Hop Dance Championship, World Hip Hop Dance Championship and World Battles: Bboy, Popping, Locking, Whacking and All Styles. 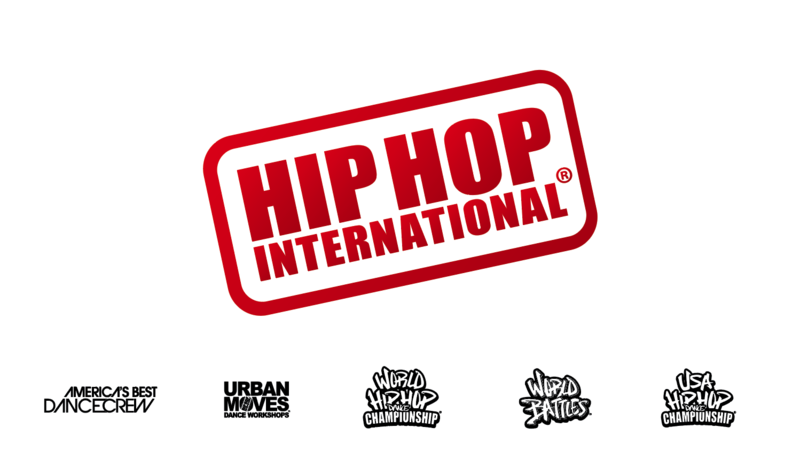 Around the world, Hip Hop International is firmly established as the foremost authority in hip hop and street dance in every HHI affiliated nation through its internationally respected competitions, educational workshops and Urban Moves dance workshops taught by the most sought after presenters and choreographers. Paying homage to its roots in b-boy culture, Hip Hop International’s worldwide street dance battles featuring the most notorious bboys, lockers, poppers and all stylers culminates every year with the World Battles held in conjunction with the World Hip Hop Dance Championship.